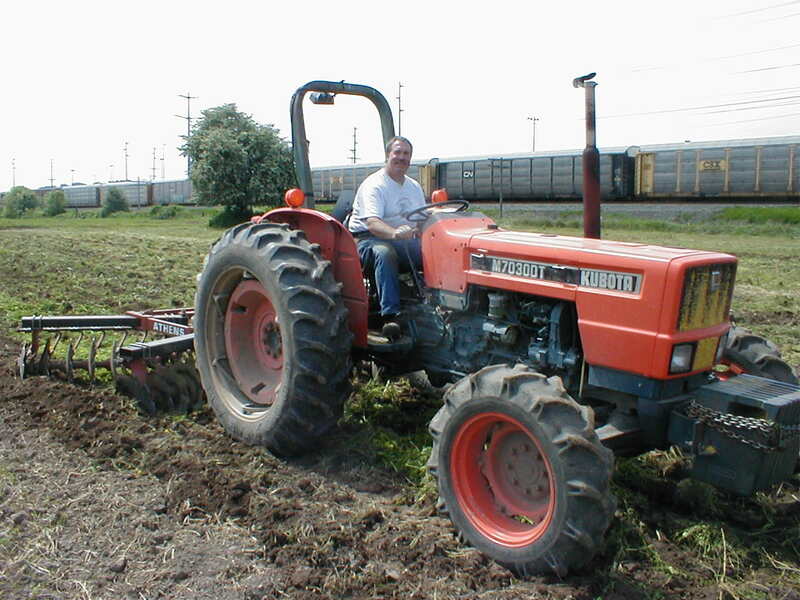 Mike Verdi has farming in his blood. His parents came from Italy and settled where Southcenter now sits (the Bon Marche warehouse, to be exact). His father was one of the founding farmers of the Pike Place Market, and his mother, Pasqualina, sold mountains of produce there until she passed away in 1991. 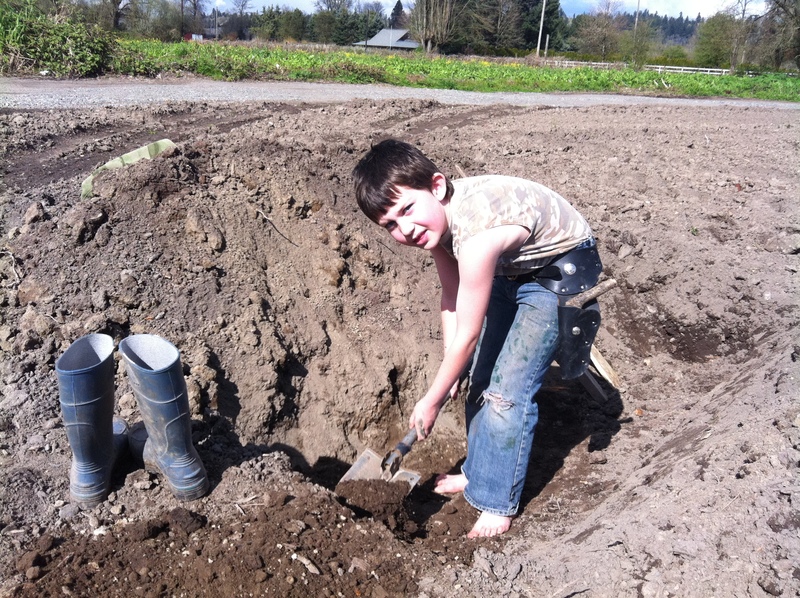 He has been farming since he was a little boy. When he was sixteen, he bought himself a Chevelle Supersport with $3700 in small bills and change that he made selling two acres of sweet corn that he grew himself. Shelley always wished she grew up on a farm. When she was ten years old she started begging her parents to let her keep farm animals. Discouraged from pursuing a farm career by school counselors, and after deciding against veterinary school, she worked towards a degree in graphic arts. 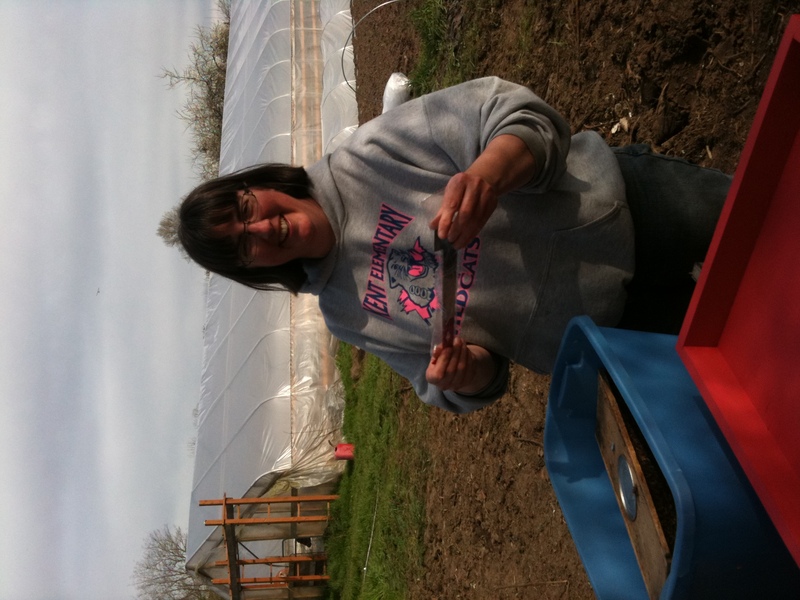 Her passion for farming rose to the surface again in 1996 after touring a CSA farm, and she was hooked. In 2007 she finally realized her dream of 30 years–owning her own milk cow. Della will be 10 this year and is rapidly becoming the backbone of our marketing team. She loves putting together the picking list the day before market, loading up the van on market days, and has all the market shoppers and vendors wrapped around her finger already. She is studying the art of making change so that she can contribute even more on busy market days. Her favorite job is packing egg cartons with freshly washed eggs. Cosmo is 8 years old now, and has a real passion for tractors and dirt. He loves working up ground with his own machines, and can spend all day in a hole in the ground with his imagination and a tool. He enjoys spending time with the cows and pigs, although he has a healthy respect for the chickens. 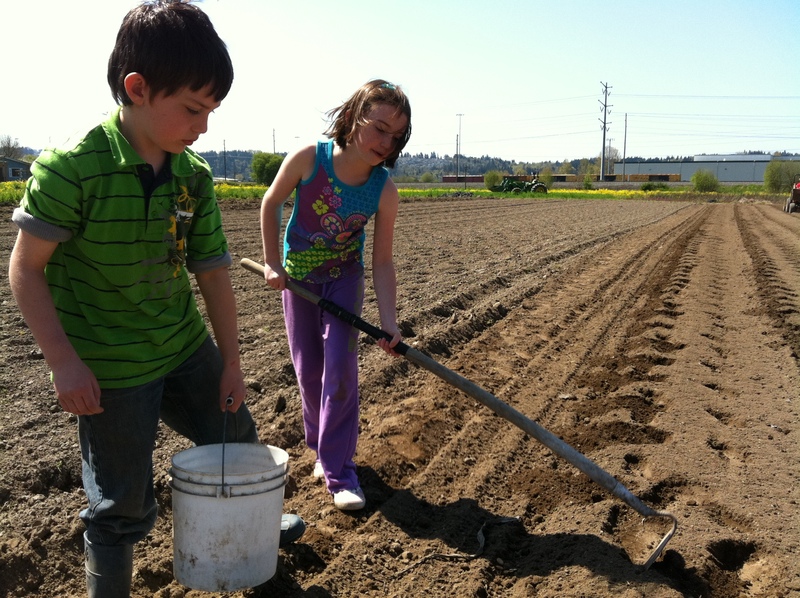 Together, we make a great farming team. I can’t believe Della’s 9 already. I remember when I knit her a sweater that she would have to grow into. I am excited to start receiving your farm boxes. Getting harder to get out to W Seattle – and Des Moines has one. So looking forward to it at the Tukwila community center site.